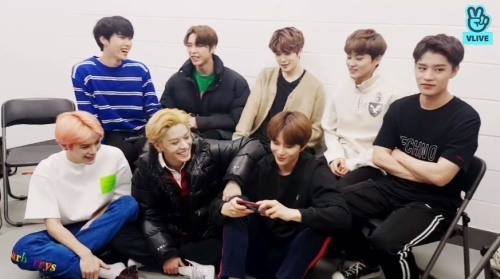 The K-pop boy group NCT went live in Gangneung, Gangwon Province, immediately after performing at a special concert Saturday to mark the one-year anniversary of the 2018 PyeongChang Winter Olympics. The members started out the broadcast by celebrating Johnny’s birthday, singing “Happy Birthday” in harmony. They asked the viewers for food recommendations in the city. The fans shouted out the names of dishes such as crabs, clams and “kalguksu” noodles. 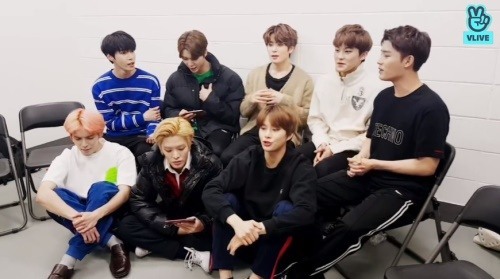 NCT was set to travel to Hiroshima on Sunday, for the first time, as part of its Japanese concert tour. Addressing fans in Japanese, the musicians asked for food recommendations in Hiroshima.